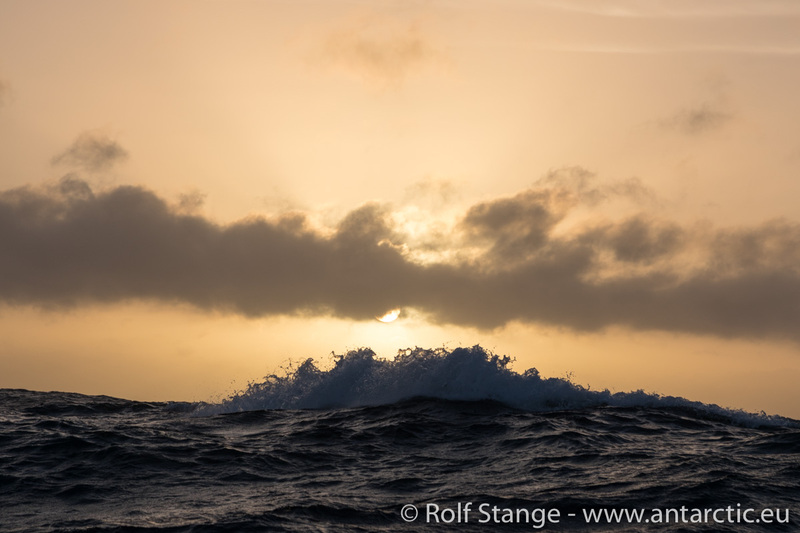 Anyone who might have thought that we had had our share of wind, water and waves had to realise that the Drake Passage still had some more in stock for us when the wind just kept getting stronger yesterday afternoon. 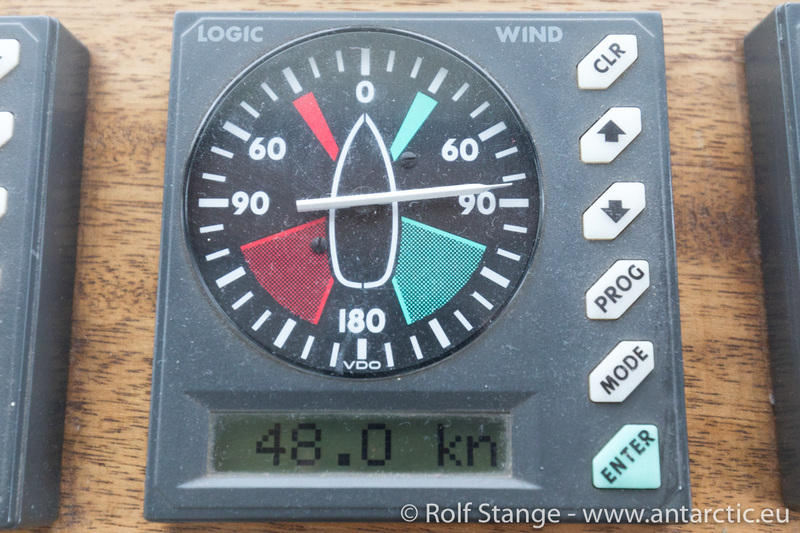 The windmeter hardly fell below 30 knots and rather went beyond the 50 mark. 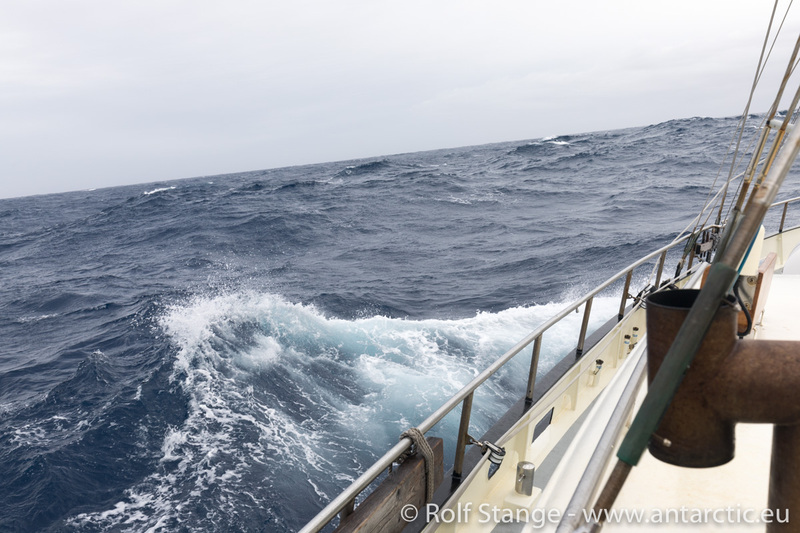 That is force 10 on the Beaufort scale, „storm“, simply and plainly. Sounds great, doesn’t it? At least from a distance … although, I have to admight: I don’t want to miss my turn on the steering wheel in the evening and I mean it! Wild and beautiful. The overwhelming powers of nature. The waves may have been up to 8-9 metres high, of course there is no way of knowing accurately, but that should be quite realistic. The howling of the wind was by no means disappointing either. Later, Heinz shut the ship down. 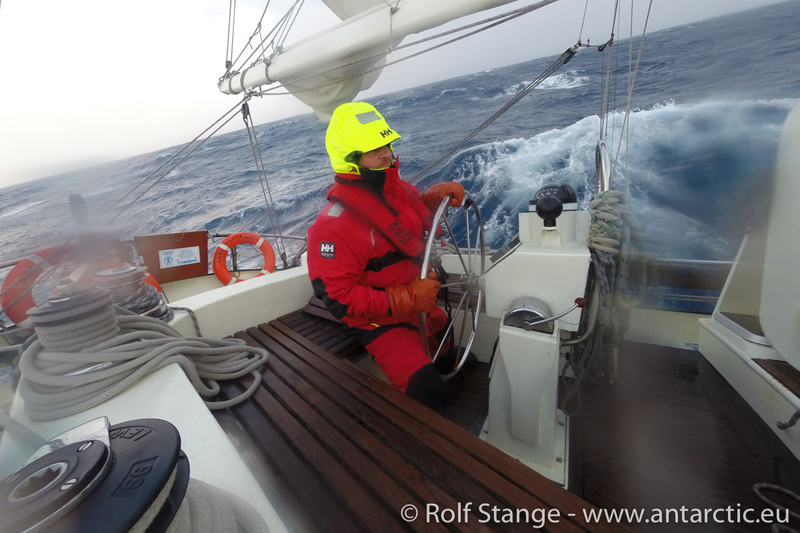 Engine off, sails reduced to the storm fock. It worked surprisingly well and life on board was actually quite ok. Yesterday was indeed the first day since Thursday or so that we saw everybody up and about again. 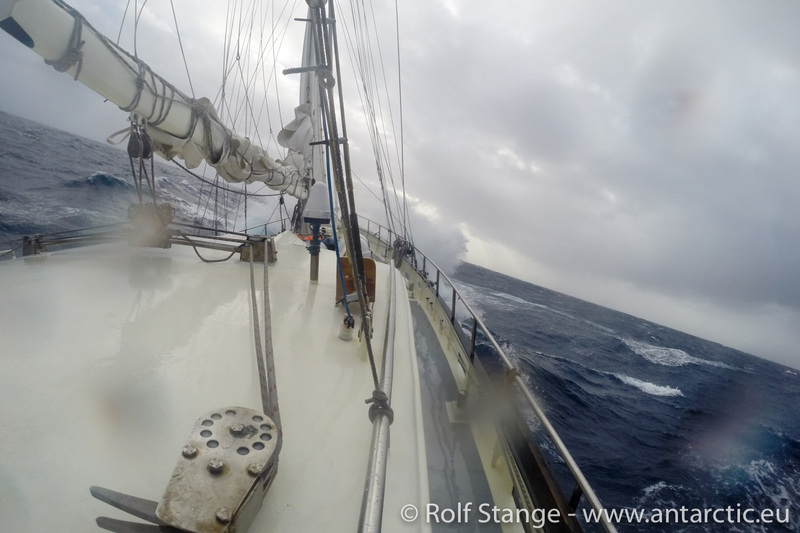 Of course, that is something not to be missed: storm off Cape Horn … great! 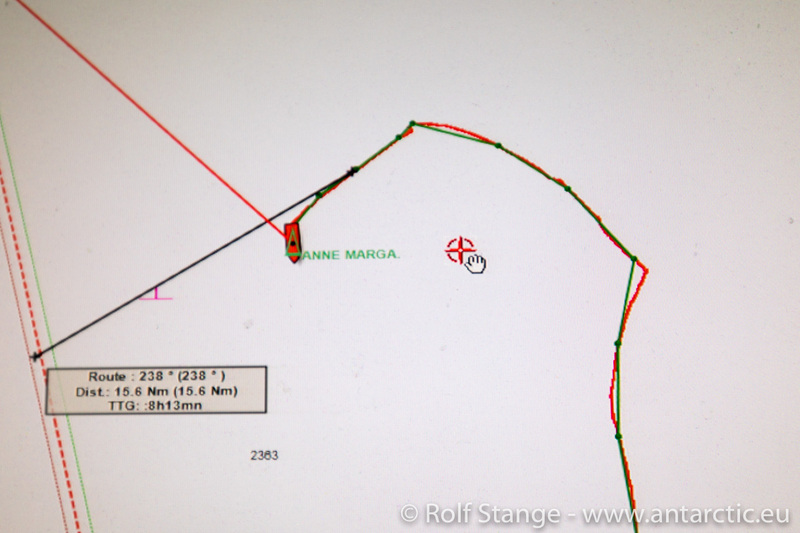 Now we are back to course and speed again, towards Cape Horn. We have lost 20 hours or so, but now we are on the way!